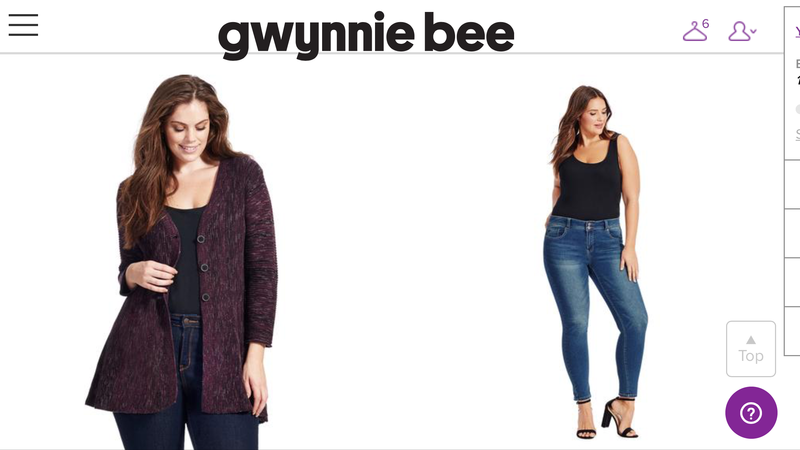 A few weeks ago I saw an ad for Gwynnie Bee on Swagbucks and thought I should give it a whirl. 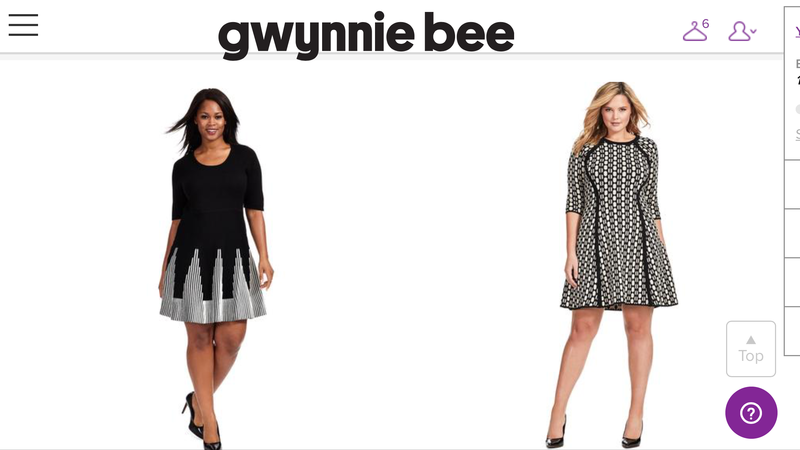 Here are some reasons I was enamored by Gwynnie Bee. 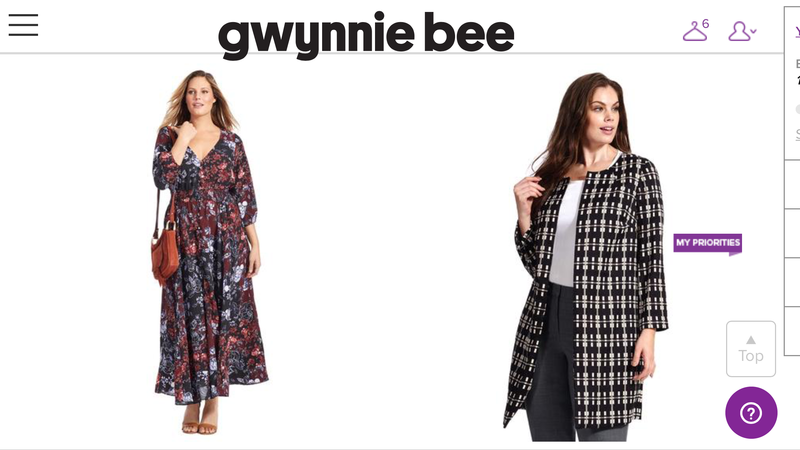 Gwynnie Bee is an online women’s clothing subscription service for sizes 10-32. Start renting your wardrobe today with free shipping and unlimited exchanges. Explore top brands and curated collections then add styles to your online closet. Get the latest trends delivered to your door and rock them as many times as you like. Fall in love with new styles launched weekly and embrace your fashion personality. Wear & return — shipping is always free. Wear & buy it for less than retail price. There are some other options, but this gives you a general idea. I just received my first box. This shirt is awesome! 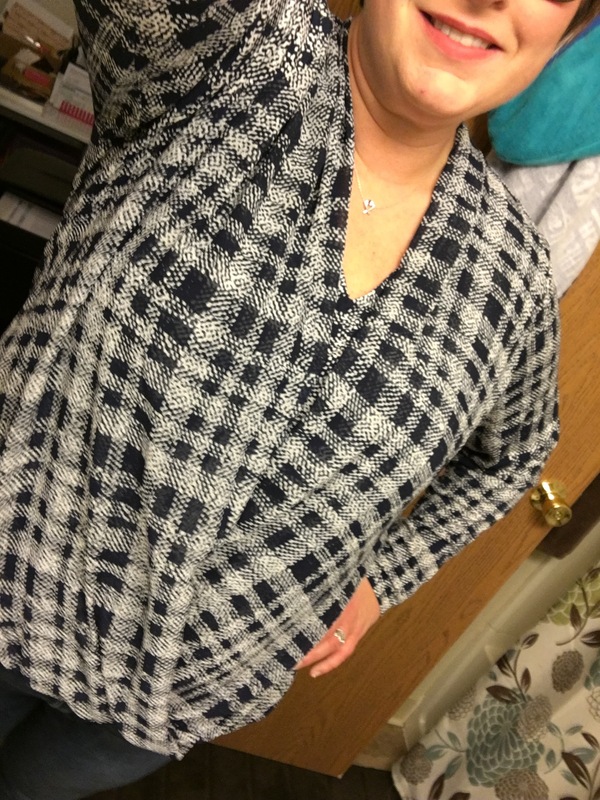 I loved wearing it today and got lots of compliments. 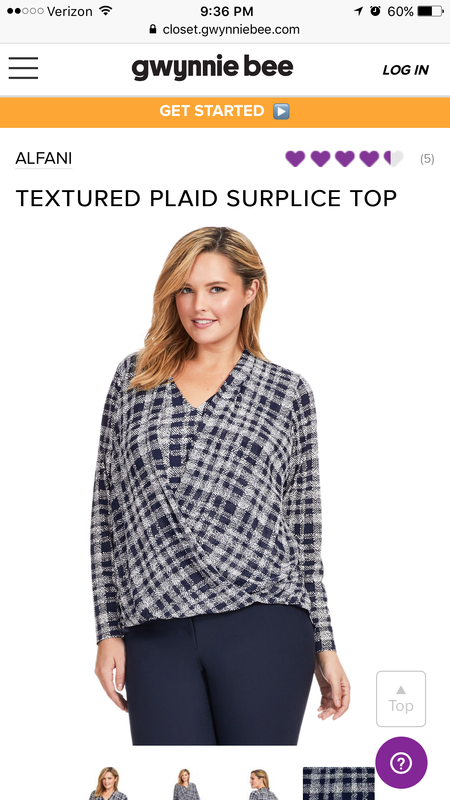 I have the option to buy this Alfani top for $57.50 should I really like it or I can return it and get one of the six items I have waiting for me. I am not 100% sure yet, but I do know that I loved my shirt and am really considering purchasing it. Overall I am satisfied, I will keep sharing my fashion choices over the next few months and you can let me know what you think.